Do you handle larger items like out-of-gauge, over-dimensional cargo? Yes, AquaMar handles vehicles of all categories from bulldozers to boats and cars of all sizes. Is cargo automatically insured? and if not should I get transit insurance – and can you arrange it? Transit insurance is an extra cost. As to whether you should get it: This for some is a difficult question and arguably should not be. What many people do not realize is that without appropriate ‘marine insurance’ – quite apart from the standards risks, you could also fall victim of ‘General Average’ whereby the principle of ‘the loss by one is shared by all‘ can be applied; so for that reason alone, certainly it warrants consideration. General Average is declared if the vessel or its cargo has incurred additional expenditures in order to save or mitigate damage or loss suffered as a result of a collision, grounding, fire etc. Moreover, transit insurance premiums are relatively inexpensive. Can you arrange professional crating? Yes, to ISPM 15 Standards - ( ISPM = International Standards for Phytosanitary Measures ) which is now becoming a fairly universal requirement. We also attend to the professional blocking and bracing of cars into containers. How do I know you are a reliable Forwarder? AquaMar is a long established reputable Freight Forwarder with A+ rating by the Better Business Bureau; approved participant of the Canadian Air Cargo Security Program, also members of CIFFA. Do you handle both air and ocean? When it comes to personal & household effects -what is the difference between LCL = Less than Container Load and FCL = Full container Load? For FCL, you have the exclusive use of a 20’ or 40’ container. If you load it yourself it will save you significant money and you can minimize the cost of expensive crating. 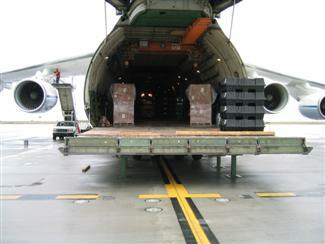 For LCL the cargo must be appropriately packed for the nature of the journey, the extra handling in transit and secured for loss or breakage and the pro-rated costs per cubic meter will generally be higher than when you use an exclusive container – unless you have a small quantity of LCL – which does not warrant an exclusive container. Can you handle Letter of Credit transactions? Yes, we can attend to all aspects of letters of credit, right up to presenting the required -- documents to your bank. There are so many Forwarders, why should I use AquaMar? AquaMar is experienced, reliable and cost-effective. We do not have the overheads and profit-centres of a multi-national so we can pass on significant and very real freight savings to our clients. We do have a hand-picked global network of like-minded Forwarders so your shipments can be carefully monitored from start to finish. Our testimonials are self-explanatory. What about Customs clearance into Canada? 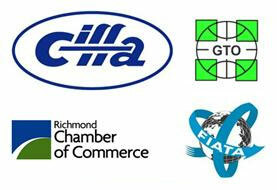 We can arrange Customs clearance of commercial imported shipments and local deliveries on your behalf. However, for personal effects, under Canadian law, they must be Customs cleared by the owner personally. Does AquaMar handle shipments not involved with Canada? Yes, our global experience and global connections enable us to arrange off-shore shipments to and from most international locations – still keeping you informed and in control from your own back-yard.